I’ve been eating asparagus more often because it’s easy to buy package-free. When I buy it, I immediately put the spears in a glass of water when I get home to keep them fresh. 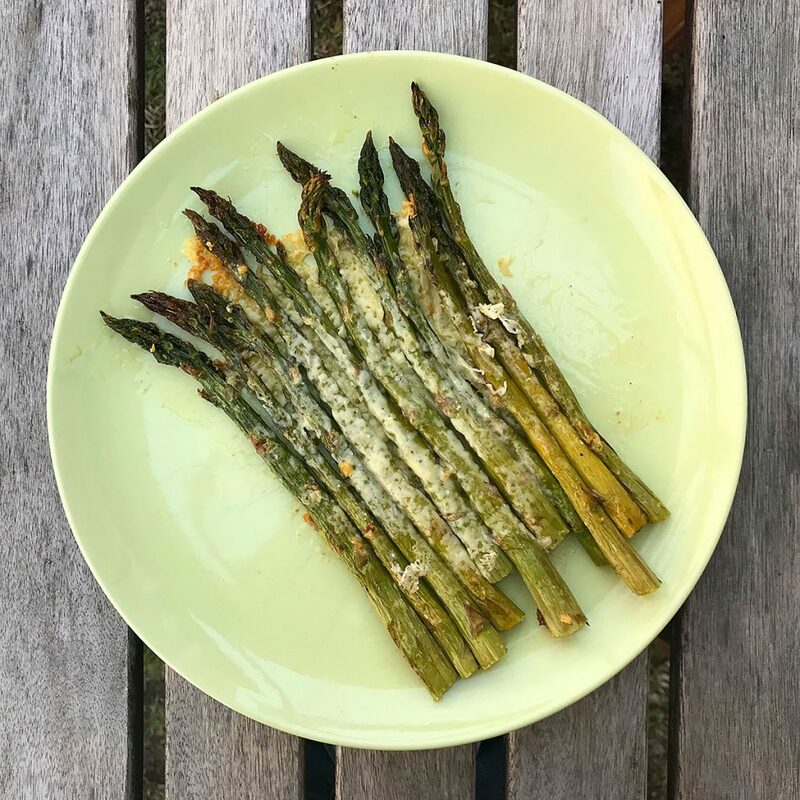 Here’s a delicious and easy recipe for enjoying asparagus this spring! Preheat oven to 425°F. Lightly grease a baking sheet with vegetable shortening. Bake for 10 minutes until they’re just beginning to get tender. Remove from oven and sprinkle with cheese. Return to oven and broil until the cheese melts and becomes golden (4-5 minutes).